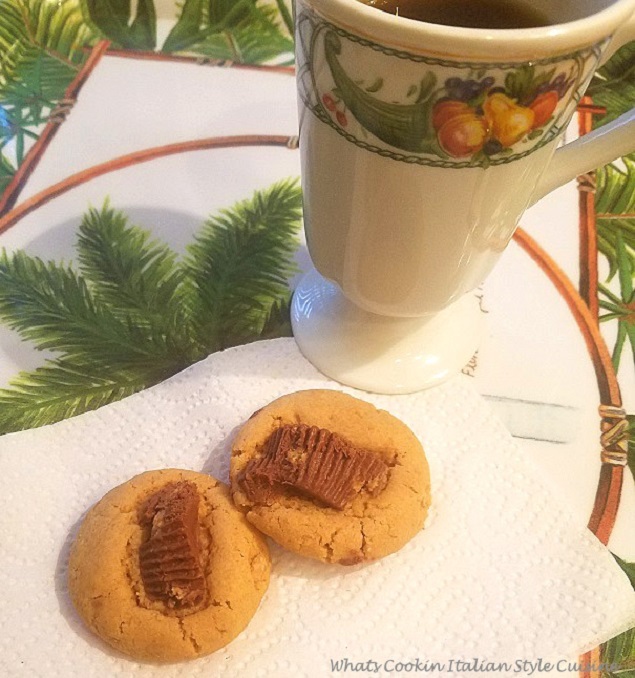 These 3 ingredient keto peanut butter cookies are fabulous! Easy to make and perfect if you are watching carbs, they are simple and delicious to make! Everyone loves this healthier version peanut butter cookie. Sugar free never tasted so good! Keto Cooking is Healthier for everyone! When I decided to make more low carb foods, it was because my youngest son developed diabetes. He loves peanut butter and it was his favorite cookie growing up. I began learning all news way to make his favorite desserts, low carb and sugar free. Then my niece developed diabetes, she is another big fan of peanut butter. This cookie was perfect for both of them through this transition in their lives. As many know it's not a choice when diagnosed with diabetes. We must change our lifestyles and way of eating. These cookies will astound anyone out there that loves desserts and has diabetes or on low carb diets for healthier eating! These have only 3 ingredients! Since their diagnosis, I had to learn a whole new way to prepare foods that are diabetic friendly and extremely pleased with the results. I have some other recipes to try that are low carb sugar free. My no bake cheesecake recipe is delicious and low carb zucchini cupcakes. My low carb stuffed peppers are amazing also! Eating healthier gives me more energy and even though I don't have this horrible disease, I will continue to learn how to make healthy, energizing foods to feel great everyday. Prevention is key to any diseases out there. I will continue on this fabulous new food journey with them. One of the hardest things to learn is amounts to use. Please check all the different kinds of sugar free brands out there and their equivalents. Not all of them need 1/2 cup of sugar free sweetener. Also use a creamy sugar free peanut butter. There is sugar in store bought peanut butter and you need to be very cautious about what to buy. We take a long time in healthy food stores reading ingredients to ensure we have healthy sugar free foods with things we understand in it! Always google the ingredients if you are not sure and be certain you have wholesome foods you trust. Most of the ingredients we purchase comes from health food stores or you can shop through my affiliate link on Amazon in the above shop with me tab. My mom was diabetic She passed in 1999 from heart failure. Now my son at 35 has it. I was always looking to make special favorite recipes that she loved and recreated many. If you need a satisfying peanut butter cookie that's low carb and diabetic friendly, this is a great alternative. 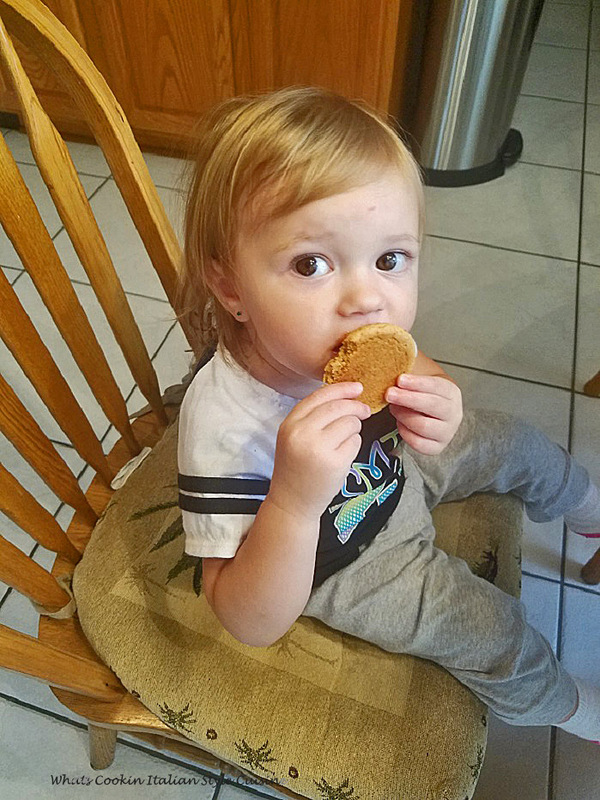 My Granddaughter Talia sure enjoyed these cookies! Watch My short Video on how much my Granddaughter loves these! Easy to make in minutes! 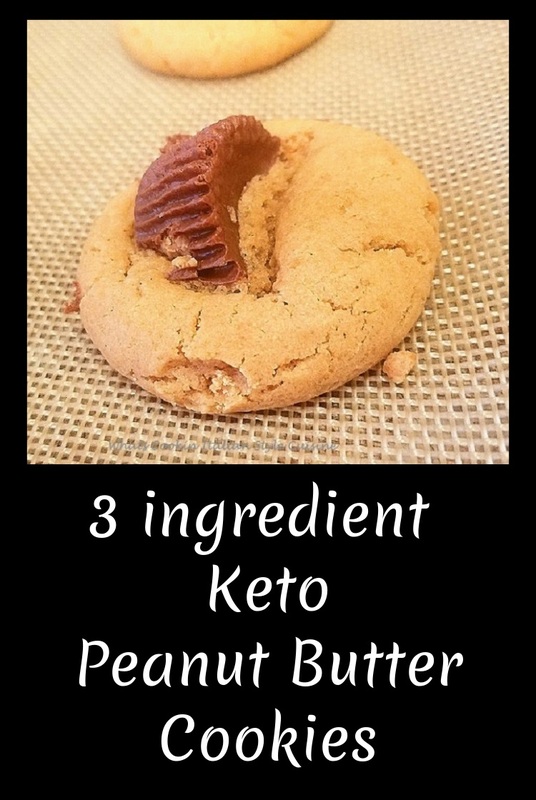 Besides these 3 ingredient Keto Peanut Butter Cookies being healthier to eat, they are delicious and easy to make! Every time we have a family gathering, these cookies that are sugar free go flying off the plates first! There are so many delicious ways to prepare foods that are diabetic friendly and low carb these days. I am on a new and fun journey to learn them all. Make it fun, keep it simple. Enjoy a healthier lifestyle. 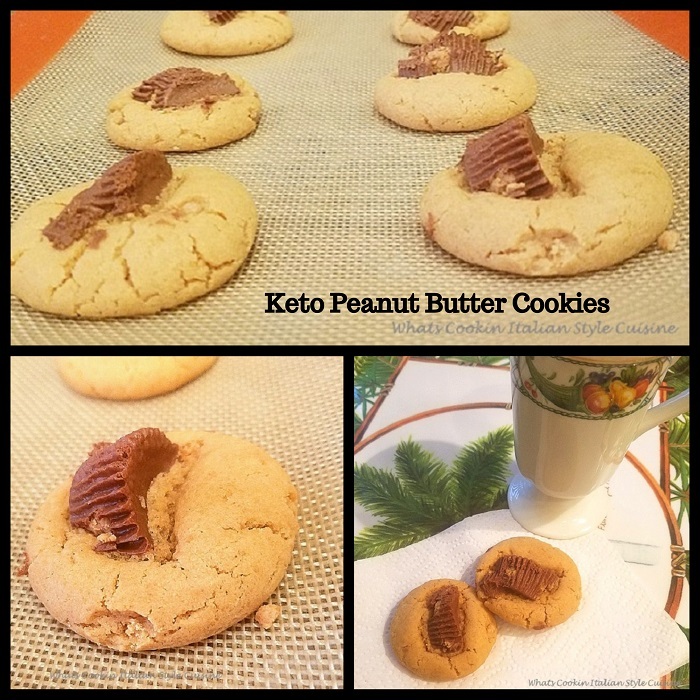 I hope you enjoy these easy to bake Keto Peanut Butter Cookies as much as we do. Mix in the heavy duty mixer or by hand in a bowl: the egg, peanut butter and sweetener until well combined. Roll into one inch balls and place on silipat mat or parchment paper. You can then just take a fork and criss cross pattern going two different way to make an old fashioned peanut butter pattern. 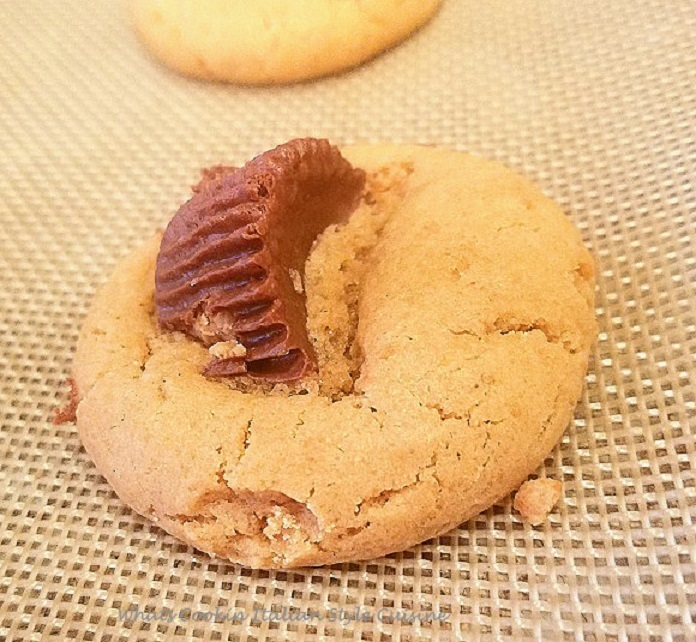 Or optional as I have made, press half a sugar free mini peanut butter cup that has been cut in half in the center of the cookie. Bake at 350 degrees for around 12 to 15 minutes checking to see if they are set. Cool completely before removing from the cookie sheets. Store in an air tight container. These look great! I am thinking of doing the keto diet, but was worried about missing the things I crave. Like pb cookies! Now I know I can totally do it! How great that you have been able to adapt old favorites to your son and other family members' dietary needs! These look terrific! Love how quick and easy these are! Talia is a sweetheart! So wonderful that you're able to make things your family loves while accommodating their dietary needs. 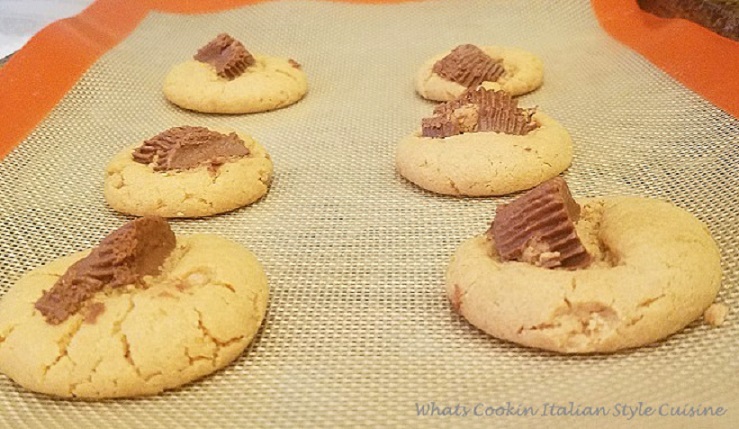 I love peanut butter cookies and these look delicious! Such delicious looking cookies...and its lovely that you've been able to adapt your favorite recipes for your family! Well you can never go wrong with 3 ingredient anything. I think I need to make a batch of these up for the grandkids!! These sounds so delicious. I love that there are only three ingredients. Peanut butter is always a big hit with kids. Saving this for later. Sounds yum. If little one is approved then it is a hit. I haven't tried keto diet, I want still being lazy. Love this 3 ingredients, peanut butter cookies. These look super easy to make and I love that there's only three ingredients! You had me at 3 Ingredients! I saw that piece of candy and wanted to know how to make these keto. I could use sugar free candy for that part! Yum! I'm always in the mood for cookies. Especially peanut butter ones. These looks super delicious. Love all the ingredients you used. Can't wait to try these. I love how simple these sound. Your granddaughter sure looks like she is enjoying them! Very cute! I am puzzled that they were dry? Mine were not. I use large eggs and maybe bake them in less time? I guess my suggestion would be to try that next time, I make them often so I am not sure why your's were dry I am so sorry. I just made the pb cookies. They taste good but are really dry.can they be made to not be so dry? Wow! no flour? this is genius! Peanut butter cookies are my husbands fave - thanks for the healthier version of the traditional PB cookie recipe! So good! These look incredible! Everyone should have peanut butter cookies in their life whatever their diet. Thanks for the inspiration, I will remember this recipe next time I am baking for someone with dietary needs. I love it that we can add egg to peanut butter, add sugar, and voila...cookies! Isn't it simply the best?! I am always looking for great treats to make for the grandkids. These look delicious...and maybe I can get them to help me make them too.